+ HR 607: NPSTC Says HR 607 "Needs to Be Amended"
Read NPSTC's letter to the ARRL, opposing HR 607 as it is currently written, here. The National Public Safety Telecommunications Council (NPSTC) -- a federation of more than a dozen public safety communications organizations -- has gone on record as sharing the ARRL's concerns regarding HR 607, the Broadband for First Responders' Act of 2011. The ARRL is actively opposing the legislation in its current form because Section 207(d) of the bill -- introduced in the US House of Representatives by Representative Peter King (R-NY-3) -- calls for the reallocation of 420-440 MHz for commercial auction. The ARRL, which is a member of the NPSTC Governing Board, has assured NPSTC members that its opposition is limited to Section 207(d) and that it supports the underlying objective of the legislation, which is to provide spectrum near 700 MHz for a nationwide interoperable public safety broadband network. Read more here. 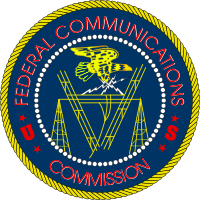 In a Report and Order adopted February 22 and released March 4, 2011, the FCC eliminated the requirement that amateur stations transmitting Spread Spectrum use Automatic Power Control (APC) to reduce transmitter power. At the same time, the Commission has reduced the maximum power of a Spread Spectrum emission from 100 to 10 W PEP. 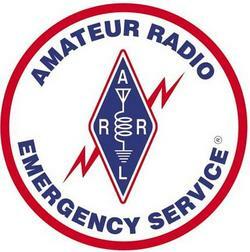 In March 2006, the ARRL filed a Petition for Rulemaking, asking that the APC requirement be eliminated. The R&O explains the Commission's actions this way: "We believe that these rules changes will (1) encourage individuals who can contribute to the advancement of the radio art to more fully utilize SS technologies in experimentation, and (2) balance the interests of all users in mixed-mode and mixed-service frequency bands until sharing protocols are sufficiently developed to avoid interference." Read more here. After a Merced, California man refused to let FCC investigators inspect his Citizens Band (CB) radio station, the FCC issued a Notice of Apparent Liability for Forfeiture (NAL) for $7000. The Commission found that Ira Jones "apparently willfully and repeatedly" violated Section 303(n) of the Communications Act of 1934, as amended, and Section 95.426(a) of the Commission's rules by failing to permit the inspection. Read more here. 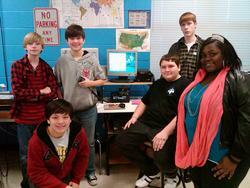 A group of students from Olde Towne Middle School ( OTMS) in Ridgeland, Mississippi is preparing for a trip to space -- or as close as they can get. The OTMS RadioN5VEI] and Technology Club, along with the school's Science Team, are planning a near-space balloon launch at 9 AM (CDT) on March 26 (the date and time are subject to change depending on weather). The balloon -- nicknamed Titans in Space -- will use the call sign KC5NXD and is expected to reach an altitude of 94,825 feet. Read more here. 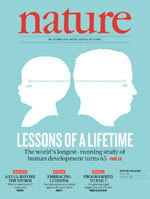 An article in the March 3 issue of the journal Nature purports to explain the extended sunspot minimum from 2008-2010. According to one of the authors, Piet Martens, the last time a sunspot minimum lasted twice as long as usual was around 1913 and before that, 1810. 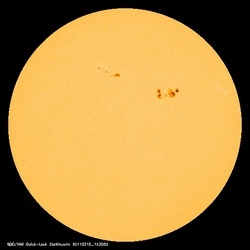 Although solar activity has increased recently, scientists have been puzzled by the lack of sunspots from 2008-2010. This quiet period had prevented the ionosphere from supporting much of the long-range higher frequency HF Amateur Radio communication that had been expected during the past few years. Read more here. The ARES® E-Letter is now available in audio format. There are three editions currently available, including the most recent recording of the February 16 ARES® E-Letter. Edited for audio by Al Brown, KZ3AB, the ARES® E-Letter is voiced by Tony Riggs, W1FHN. Brown was licensed in 1966. He was a member of the White House Press Corps before retiring from the International Broadcasting Bureau/Voice of America (IBB/VOA). Licensed since 1955, Riggs has worked in both the commercial and public broadcasting venues. He retired after 21 years as a staff announcer and news anchor with the VOA. With more than 35,000 subscribers, the ARES® E-Letter is written by Rick Palm, K1CE and is published each month. Click here to subscribe to the ARES® E-Letter. Geoff Haines, N1GY, of Bradenton, Florida, sent us this idea for waterproofing your automatic antenna tuner. Contact Geoff via e-mail for more information. As an avid Amateur Radio operator, I sometimes use an automatic antenna tuner to operate more than one band with the same antenna. My mobile unit uses an LDG RT-11 autotuner to feed a pair of "Hamstick" style antennas on several different bands. One antenna covers the lower bands and another antenna covers the higher ones. An excursion into operating "fixed portable" with a telescopic vertical had me looking for another solution. In order to minimize the coax losses when feeding a vertical monopole away from its resonant band it is necessary to reduce the distance between the tuner and the antenna to a minimum. The use of ladder line is not feasible when the antenna is fed almost at ground level. In order to do this, it is necessary to place the tuner almost directly at the base of the antenna and thus reduce the coax run from the tuner to the antenna to nearly nothing. The coax from the tuner to the transmitter can then be any appropriate length since the mismatch has already been corrected. Owning an LDG Z-100 automatic tuner already, I looked for a way to mount it at the base of the antenna and yet protect it from the elements. A phone call to LDG gave me the necessary specifications for a 50 foot extension of the control cable so the only thing left was to find a workable enclosure for the tuner itself. I discussed the requirements for such an enclosure with my spouse, Audrey. Without a word, she rummaged through a kitchen cabinet and produced a semi flexible plastic container that had a snap-on lid and fit my Z-100 and its cables to a T.
I drilled four small holes in one end of the container into which I fitted two short coax jumpers, one for the antenna and one for the radio. I also made up and installed a short 4-conductor cable to connect the stock control harness to the 50 foot extension. The fourth opening was used for a similarly short insulated wire to connect the grounding stud on the Z-100 to the radial system of the antenna. Once these four cables were in place, I sealed the drilled openings with hot glue. Silicone caulk could be used just as easily, provided it will stick to the container. I did not try that because the hot glue was at hand so you are on your own there (see Figure 1). With the jumpers connected to the tuner, the extension cable and coax were run to the transceiver and the antenna erected. Now, testing was in order. The pressing of the TUNE button on my IC-706MKIIG did exactly what it was supposed to do. The Z-100 ran through its paces and signaled a good match. Now if the afternoon showers come while I am operating "fixed portable," the only thing I have to worry about is keeping me and the radio dry. The tuner is cozy in its own little raincoat (see Figure 2). Total cost, even if you had to buy the container new at the discount store, would probably not exceed $10. That does not include the extension control cable of course. The container was already here and I had enough UHF connectors, coax, wire and weatherproofing on hand for the project. The only thing I had to buy was the 4-conductor cable and Molex connectors to build the 50 foot extension cable. This project has enabled me to comfortably operate "fixed portable" from the beach, at Field Day and many other events where a vertical was the only feasible antenna. As long as the container can handle the physical size of the tuner with room for the connecting cables, any automatic tuner could be protected in this way. Do you have an idea or a simple project that has improved your operating? Maybe you've taken something commonly found around the home and developed a ham radio use for it? Why not share your hints with fellow hams in "Hints and Kinks," a monthly column in QST. If we publish your hint, you will receive $20. Send your hints via e-mail to h&k(at)arrl(dot)org or to ARRL Headquarters, Attn: "Hints and Kinks," 225 Main St, Newington, CT 06111. Please include your name, call sign, complete mailing address, daytime telephone number and e-mail address. It's that time of year again -- time to start gearing up for ARRL Field Day, June 25-26, 2011! ARRL's flagship operating event -- always held the fourth full weekend in June -- brings together new and experienced hams for 24 hours of operating fun. Field Day packets are now available for download and include the complete rules (including a change for 2011), as well as other reference items such as forms, ARRL Section abbreviation list, entry submission instructions, a Frequently Asked Questions section, guidelines for getting bonus points, instructions for GOTA stations and a kit to publicize your event with the local press. Read more here. The Sun, as seen on Thursday, March 10, 2011 from NASA's SOHO Extreme Ultraviolet Imaging Telescope. This MDI (Michelson Doppler Imager) image was taken in the continuum near the Ni I 6768 Angstrom line. The most prominent features are the sunspots. This is very much how the Sun looks in the visible range of the spectrum. Tad "Fun, fun, fun in the Sun, Sun, Sun" Cook, K7RA, reports: Solar Cycle 24 continues to ramp up at a quickening pace. The average daily sunspot number this week was more than double the value of the week before, rising from 50.9 to 114. The average daily solar flux rose 44 percent, from 96.8 to 139.4. All this week through Tuesday, the sunspot numbers and solar flux kept rising and beating old numbers, and we had to look further and further back into Solar Cycle 23 to find comparable conditions. On Tuesday, March 8, the daily sunspot number was 137. The last time the daily sunspot number was higher than this was July 7, 2005 when it was 149. Twice this week, the 10.7 cm receiver at Penticton was overloaded, swamped by energy from a solar flare and the daily solar flux value had to be estimated. On March 7 and 8, the noon solar flux readings were 938.6 and 166.7, and they were corrected by NOAA to estimated values of 153 and 155. The estimated flux level of 155 was the highest since July 23, 2004, when the solar flux was 165. Predicted solar flux for March 10-17 is 150, 145, 140, 140, 135, 130, 125, 105 and then 100 on March 18-21, then going below 100 until April 2. The predicted planetary A index for March 10-11 is 22 and 18, then 5 on March 12-21, 7 on March 22-23, 5 on March 24-26, then 7, 7, 19 and 7 on March 27-30. Note the high predicted planetary A index on March 10-11 of 22 and 18. This is because of recent solar flares, and the disturbance will probably affect signals traversing a polar route. Look for more information -- including propagation reports, as well as a critical look at last week's report of a 2 meter FM signal from South America, reportedly monitored in North Carolina, more than 4700 miles away -- on the ARRL website on Friday, March 11. For more information concerning radio propagation, visit the ARRL Technical Information Service Propagation page. This week's "Tad Cookism" is brought to you by the British television series Red Dwarf. How did you sign up for ARES®? When was the last time you built a transceiver from a kit? Are your station antennas supported by a tower? Do you regularly operate HF mobile? Visit the QuickStats page and be sure to bookmark it in your browser. Results from this QuickStats poll will be published in the June 2011 issue of QST on the QuickStats page, located in the rear advertising section of the magazine. Along with monthly poll results, QST QuickStats offers colorful charts and graphs that highlight interesting Amateur Radio statistics.